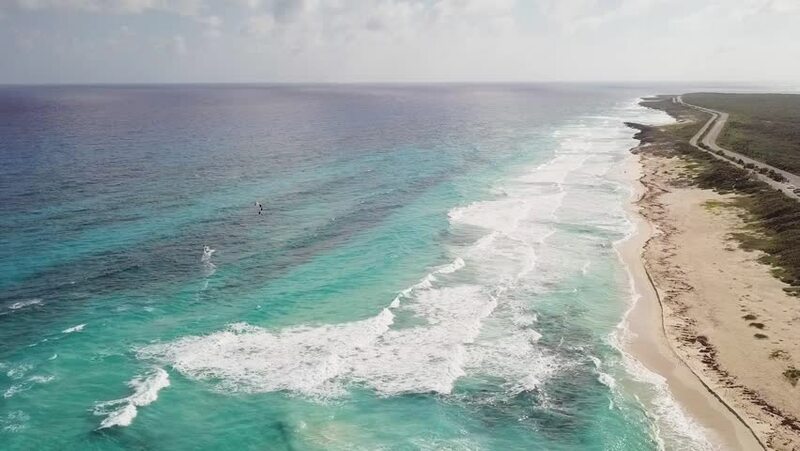 Aerial view in a sliding climb from left to right of a beach on the east coast of Cozumel Mexico. The highway that runs the length of the east coast can be seen. 4k00:15Various aerial shots from different angles in Vivonne Bay, Kangaroo Island, South Australia. Summer time.